LeasePlan has announced that Gijsbert de Zoeten, chief financial officer, and Marco van Kalleveen, chief operating officer Europe are to resign from their board positions with immediate effect. The leasing giant said the move was by mutual agreement and credited both board members with having helped to set up a strong foundation for LeasePlan and as the company prepares for its next phase of growth and development. Gijsbert de Zoeten joined LeasePlan in 2016 as SVP Finance before becoming chief financial officer in 2017. He is credited with having successfully transformed the LeasePlan Finance function during his tenure and playing a vital role in the company’s recent strategic review. Marco van Kalleveen joined LeasePlan in 2016 as chief operating officer Europe responsible for LeasePlan’s European business; the company said he had been central to the implementation of the company’s Power of One LeasePlan operational excellence programme. It’s not known whether the departures are connected to LeasePlan’s decision last month to cancel its planned IPO due to “market conditions”. 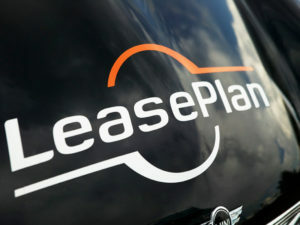 LeasePlan added that both Gijsbert de Zoeten and Marco van Kalleveen would remain available to support the transition process.